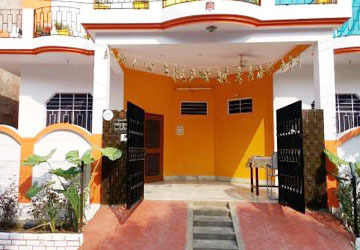 Sanctuary tourist Lodge is a budget Guest House approved from Department of Tourism, Government of Rajasthan, INDIA. Clean Specious, well furnished rooms with warm hospitality and relaxing environment. It has comfortable amenities for all your needs. It is perfect base for budget travelers. It is less than 5 mins. walking distance from main entrance of Keoladeo National Park. It serve a delicious food from its own clean and hygienic kitchen where guest is allowed to watch cooking process. Sanctuary tourist Lodge is managed by two brothers RAJESH AND AVDHESH AVASTHI. Younger AVDHESH is well known and an approved naturalist from department of forest of the government of Rajasthan also an approved guide from department of tourism govt. of Raj. is working in tourism sector for more than 15 years. Exploring the wild life and bird life of Keoladeo National Park and other wild life reserve in north India is his passion.